A 1988 graduate of Rutgers Law School Newark, Cristal Holmes-Bowie is primarily responsible for matters involving the Township of Willingboro, as well as the Firm’s NJEA clients, real estate and religious organizations. Ms. Holmes-Bowie handles all transactions, including residential and commercial contracts for those clients and has litigated civil and criminal matters before state and federal courts. In addition, she represents the Firm’s clients before administrative agencies. Ms. Holmes-Bowie assists the Managing Partner in the day-to-day operations of the Firm. Ms. Holmes-Bowie came to the Firm from a Solo practice, where she represented individuals in criminal, family and real estate matters. She has also served as an assistant solicitor and assistant prosecutor to the Township of Willingboro. Prior to her Solo practice, she was an Assistant Public Defender where she gained extensive trial experience representing individuals before the Superior Court in Essex, Union, Burlington and Camden Counties. 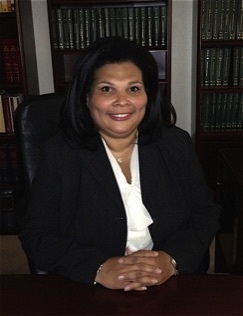 Ms. Holmes-Bowie is admitted to practice before state and federal courts in the State of New Jersey, the U.S. Court of Appeals for the Third Circuit and U.S. Supreme Court.